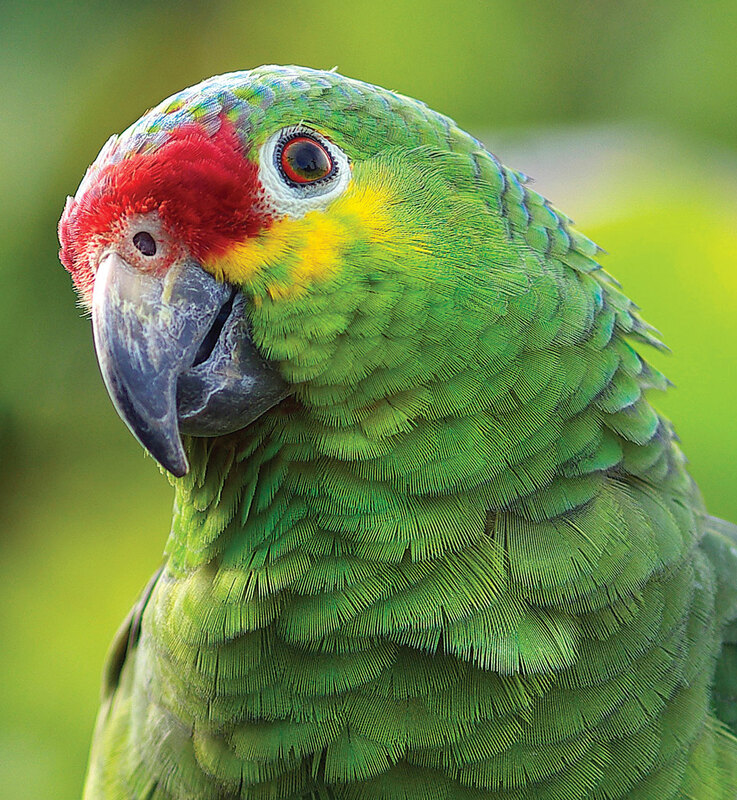 The Red-Lored Parrot is one of 17 species of parrots and parakeets found in Costa Rica. They are commonly seen from eastern Mexico and down south through Central America to Ecuador. Red-Lored Parrots are distinguished by the bright red color on the surface on each side of its head between the eye and the upper base of the beak, known as the “lore”. You will almost always hear them before seeing them as they are very loud. From afar they appear to be mostly green but upon closer inspection you can see beautiful lilac blue colored feathers on top and on the back of their heads. Their wings show red, yellow, black, and white while their tail feathers have shades of yellow, blue, & green. They are monogomous for life and can be seen traveling in pairs or as part of a large flock. Red-Lored Parrots, like other parrots, are considered to be highly intelligent and can also live up to 75 years!